Although The Social Network was adapted from the 2009 book The Accidental Billionaires by Brad Mezrich, Aaron Sorkin did a lot of his own research into Facebook, namely because Sorkin was tackling the script as Mezrich was finishing the book. So regarding Facebook’s early history, Sorkin is quite knowledgeable. But time passes on, and while a sequel to The Social Network is only a topic of discussion for now, Sorkin thinks there’s enough material from Facebook’s last nine years to warrant exploring that on the big screen. Facebook certainly hasn’t been lacking in controversy in recent years, such as mishandling its users’ private data and failing to effectively fight the spread of fake news. The Social Network showed audiences the cutthroat ways Zuckerberg established Facebook and made it successful, but a sequel could explore how the company has fallen from grace following the events depicted in the movie, which won four Golden Globes and three Academy Awards. Aaron Sorkin didn’t elaborate on whether or not he himself would want to write a sequel to The Social Network, although if he feels this strongly about such a project, one would imagine he’d be open to the idea of carving out time for it. 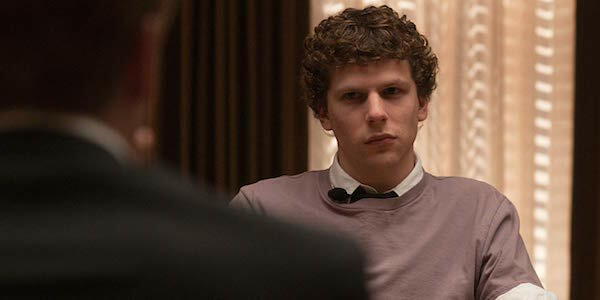 It’d also be nice if David Fincher would return to direct, but arguably the most important returning element would be Jesse Eisenberg reprising Mark Zuckerberg. That way there’s still a sense of continuity, and since Eisenberg earned numerous accolades for his performance and has only become more famous since then, it’d be worth doing whatever it takes to ensure his participation. If a Social Network sequel does end up moving forward, we here at CinemaBlend will be sure to let you know about. As far as what movies are actually coming out, head to our 2019 release schedule to see what’s arriving over the next year.